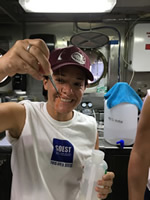 I am an ecologist, naturalist, and marine biologist interested in the diversity of zooplankton and in the phenomena occurring at the base of the food web. 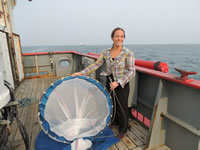 In my career as a scientist I have focused on a variety of studies of zooplankton - the animals that drift in the sea. 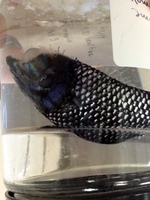 My technical expertise is primarily in DNA barcoding, quantitative PCR-based methods, and next-generation sequencing. 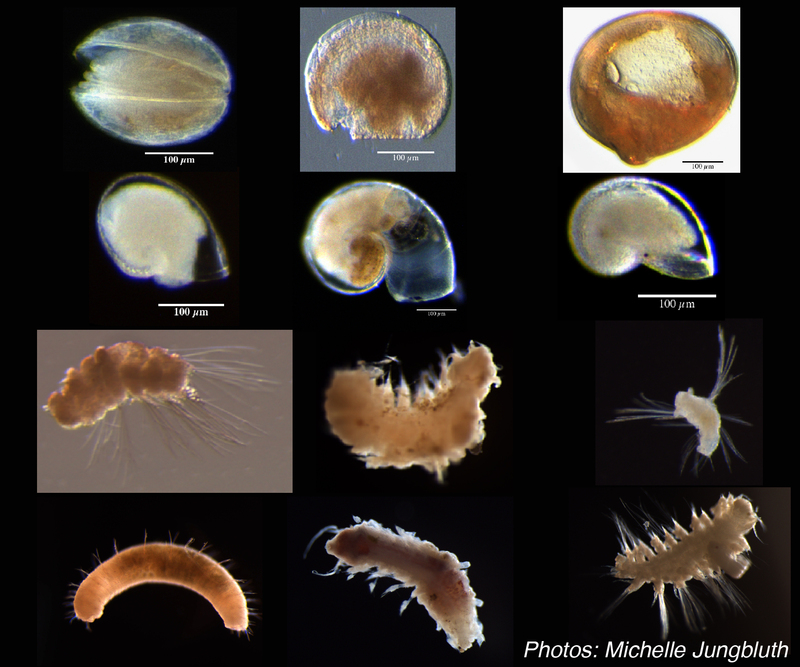 I have also dabbled in DNA barcoding of deep-sea larval invertebrates - a location where we know almost nothing about organism diversity and even less about larval ecology. 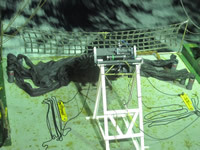 As well as what goes on in places like the deep sea. Coming soon! Kersten et al., in prep "Larval assemblages over the abyssal plain in the Pacific are highly diverse, novel, and spatially patchy"
In order to study copepod populations at a finer scale, I have further developed a DNA-based method that allows me to estimate animal abundance using a combination of size-based separation and quantification of species-specific DNA (Jungbluth et al., 2013 Marine Biology doi: 10.1007/s00227-013-2300-y). 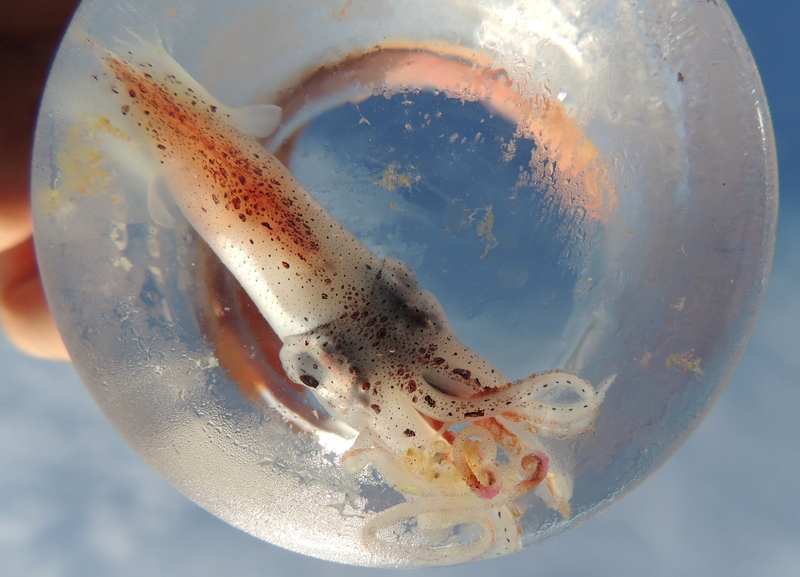 Additional exciting work applying DNA methods to measure changes in populations in mixed species field samples will be published soon, stay tuned! 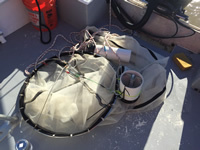 and am now using high-throughput DNA sequencing to study larval fish diets. 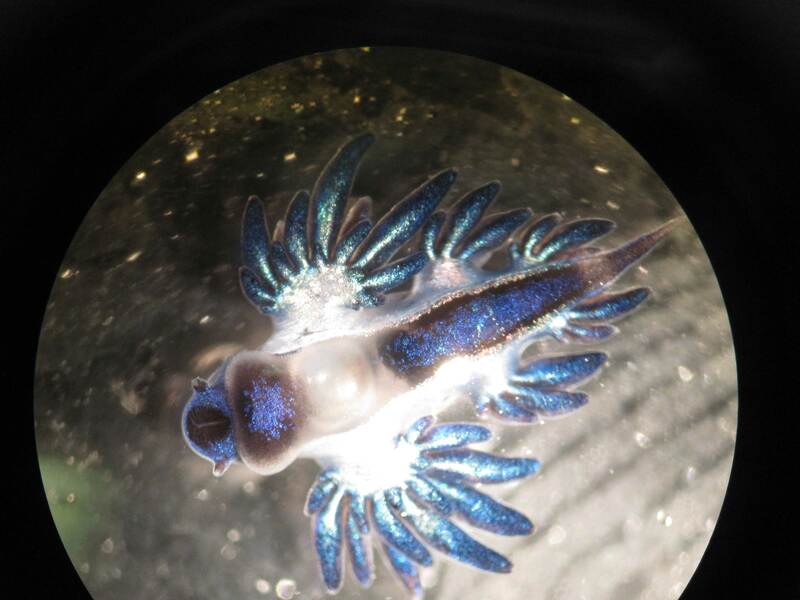 Currently, I am working on a project using DNA sequencing to study the larval diet of a threatened species of fish in the San Francisco Estuary - the longfin smelt (Spirinchus thaleichthyes). 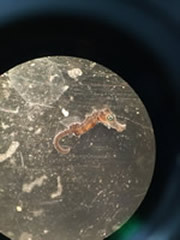 This fish is one of many struggling fishes in the San Francisco Estuary ecosystem and my work will help us to understand what food resources they need to survive and whether food is what is limiting their populations. One of the perks of being a scientist is attending conferences and being invited to present about my work! I have been lucky enough to present in locations like Honolulu, San Francisco, New Orleans, Bergen Norway, and Naples Italy! Check out my full CV for more details! 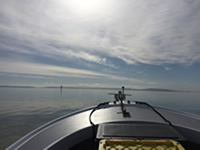 I am currently working on an exciting project as a Postdoctoral Research Fellow at the San Francisco State University Estuary & Ocean Science Center (formerly Rombeg Tiburon Center) with Dr. Wim Kimmerer. 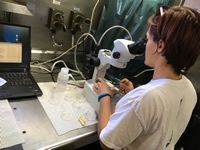 This project will utilize my experience in zooplankton ecology, identification and molecular biological methods to reveal the invisible contributors to the diets of threatened fishes in the San Francisco Estuary using next-generation sequencing techniques. 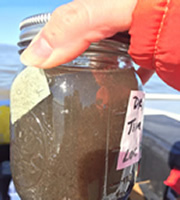 Thanks to Sea Grant and the Delta Science Fellows program for this exciting opportunity, and thanks to the State and Federal Contractors Water Agency (SFCWA) for funding my work. 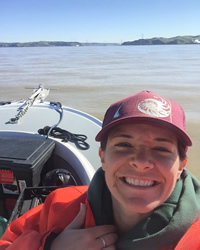 Stay tuned, I will be very active in the San Francisco Estuary research community over the next few years - and hopefully beyond! 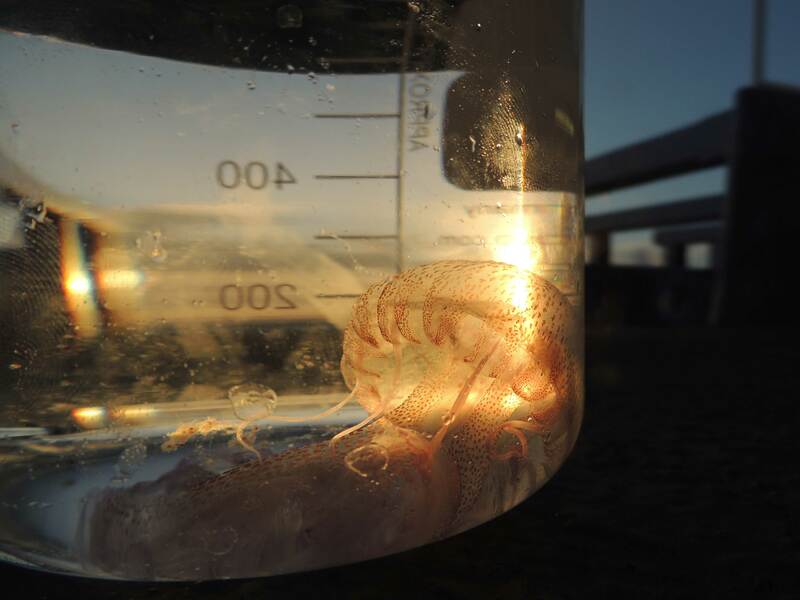 In the Oceanography department at UH Manoa I studied the role of copepod nauplii in marine ecosystems, including their response to storm events in Kane'ohe Bay, Hawaii. 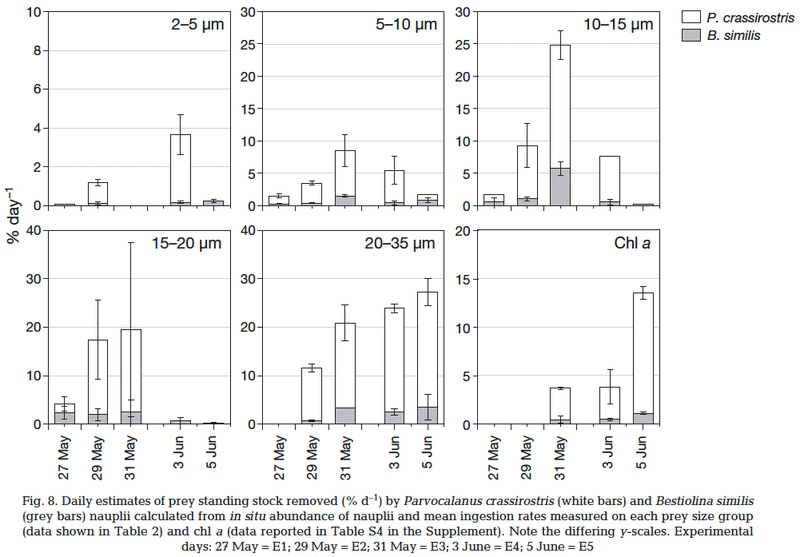 My work will give us a better understanding of how important nauplii are as grazers of algae and whether they can have an impact on their prey populations(See Pubs & Presentations - Jungbluth et al 2017 MEPS). 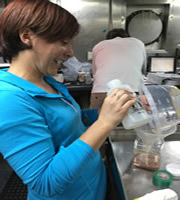 Using a novel DNA-based technique that I developed during my master's degree (See Pubs & Presentations- Jungbluth et al. 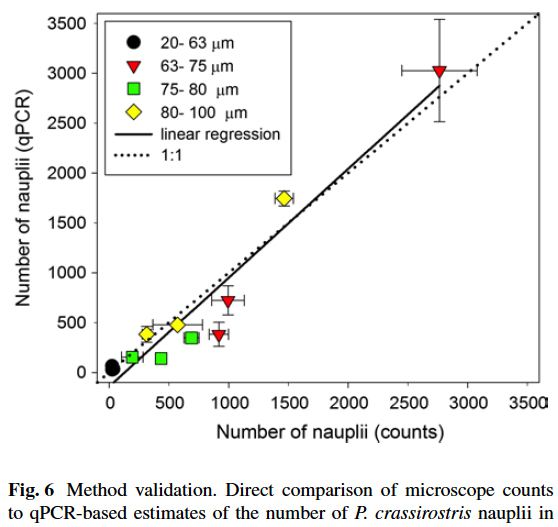 2013), I could estimate the abundance or biomass of nauplii by species. This was not possible in a diverse ecosystem when armed with only a microscope and no species-specific larval-identifying characteristics. 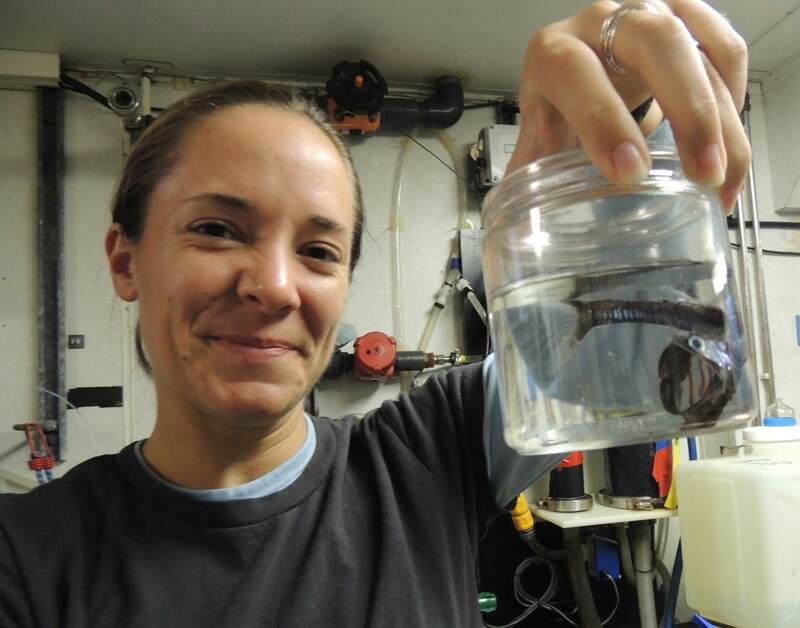 I also have worked with Dr. Eric Vetter at Hawaii Pacific University on a short-term, collaborative project describing the molecular-taxonomic diversity of larval invertebrate species present near the abyssal seafloor. 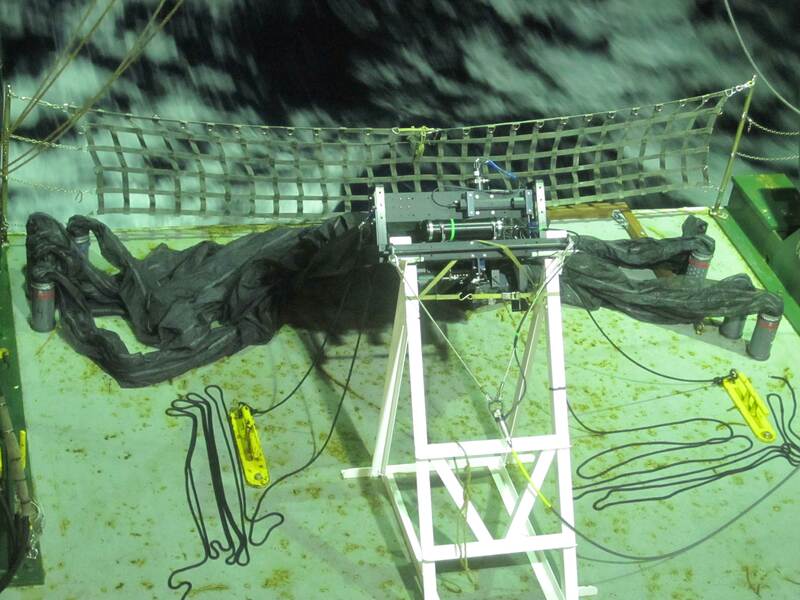 Stay tuned for exciting discoveries of new genetic diversity at the bottom of the sea! 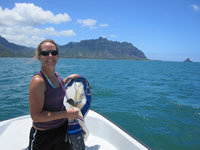 A large portion of my dissertation focused on plankton dynamics in a large, productive subtropical embayment on Oahu, Hawaii, so I have spent a lot of time on a 12-foot Boston Whaler, rain or shine, collecting my precious zooplankton to look at what lies below the surface. 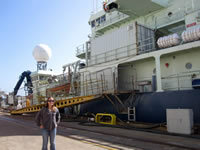 But I also love ship-based research, and have been lucky enough to spend over 80 days at sea on 5 different ships with scientists from many countries getting to contribute to studies on zooplankton around the worlds oceans. 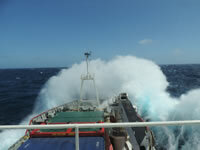 Thankfully I do NOT get seasick! Kersten, O., Vetter, E. W., Jungbluth, M. J., Smith, C. R., & E. Goetze. (In Prep). 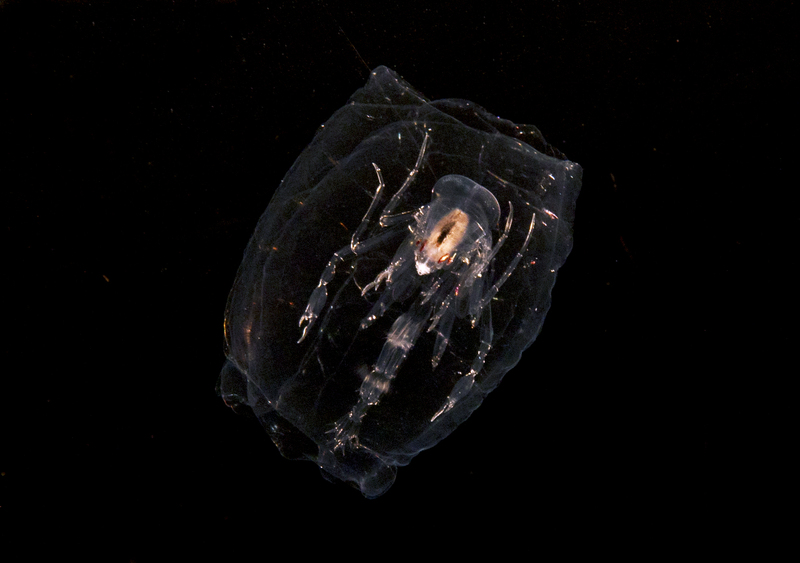 Larval assemblages over the abyssal plain in the Pacific are highly diverse, novel, and spatially patchy. Hanson, K. M., Jungbluth, M. J., Lenz, P.H., Robinson, E., & E. Goetze. (In Prep). 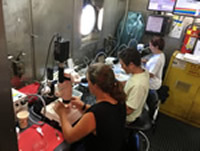 A qPCR-based approach for estimating species-specific biomass of metazoan plankton. Jungbluth, M. J., Lee, C., Patel, C., Ignoffo, T., and W. Kimmerer. (In Prep). 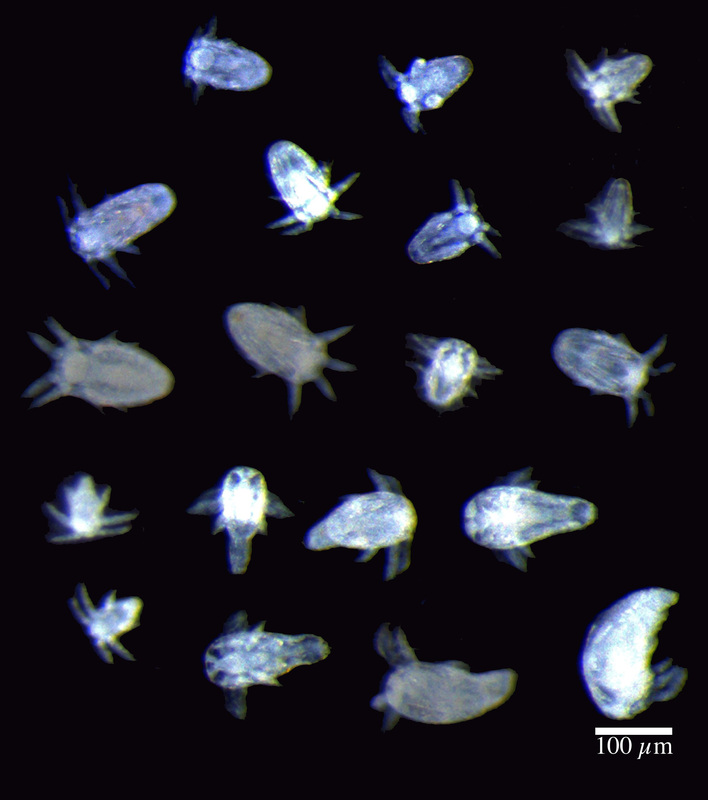 Bloom-forming diatom not an important food resource for an abundant pelagic copepod. 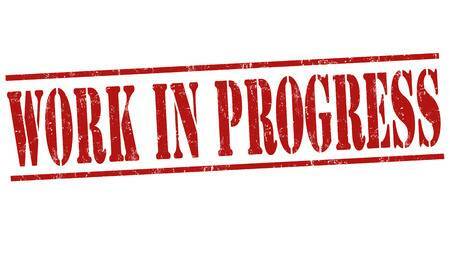 Under construction! Apologies for any wonky-ness. 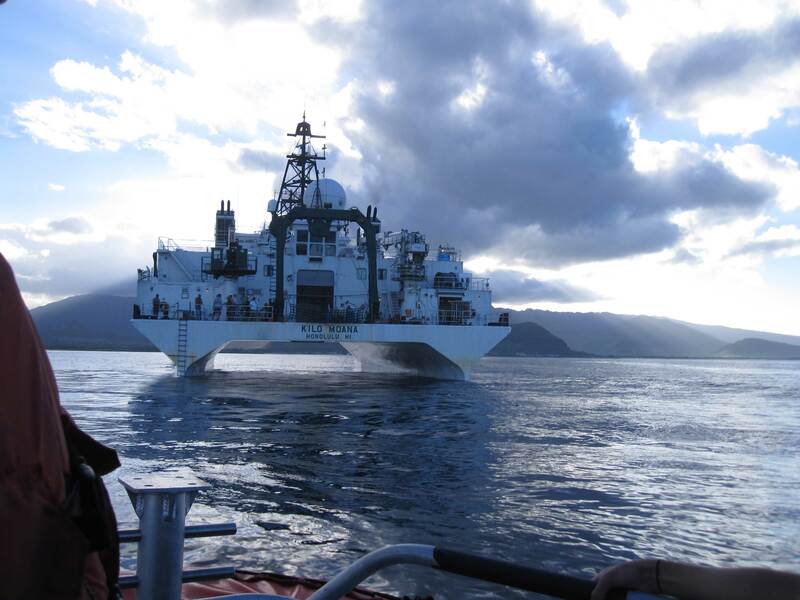 My first oceanographic research cruise ever - on the R/V Atlantis, 2010 My territory - Kaneohe bay, Oahu, Hawaii. Where I spent my dissertation studies. 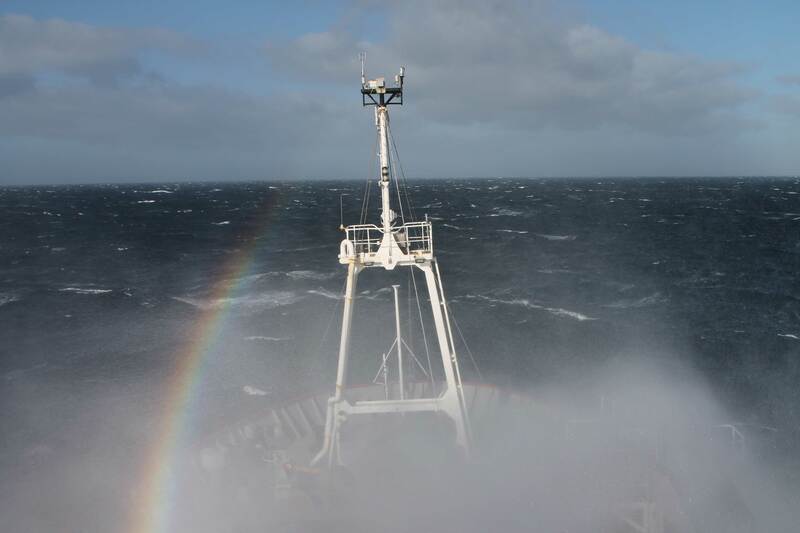 THE most beautiful sunrise I've ever seen: Somewhere in the middle of the Atlantic Ocean on the RRS James Clark Ross, 2014 We are LITERALLY at the equator, on the Atlantic, at this moment! 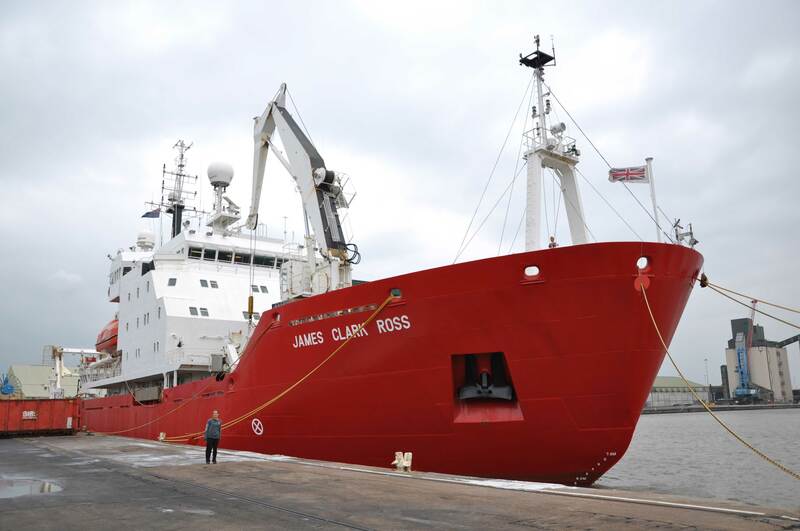 RRS James Clark Ross, a British Antarctic Survey vessel, an icebreaker! 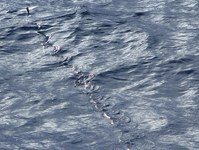 This is just a small subsample of the creatures I love to see and often take photos of while at sea! Feel free to contact me if you have any questions or want to know more! Barreleye fish from Falkor cruise, offshore Oahu, Hawaii Vellela vellela, AMT cruise Pteropod. Communicating our work to a broad audience, including the general public, policymakers, and scientific peers, is critical to making progress in the fast-paced world we live in. 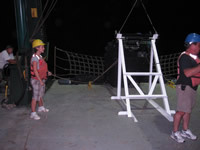 That is why colleagues and I in Hawaii created the Science Communicators 'Ohana, a Registered Independent Organization at UH Mānoa, created for scientists to get together and explore effective methods for communicating our science with each other and the public. Through workshops organized with the 'Ohana, we have provided the University of Hawaii community with opportunities to improve their non-scientific writing, oral presentation, public speaking, and "elevator pitches". 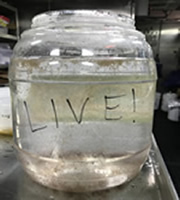 This was important to me before the 'Ohana; A collaborator and I decided we, as early career scientists and stewards of our Earth, really needed an outlet for the students to practice outreach writing, so we created a Real Science at SOEST Blog . 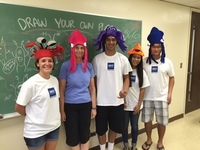 The blog, recently renamed to align with the Science Communicators 'Ohana, was created as a platform through which graduate scientists in the University at Manoa could improve their communication skills. 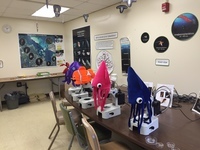 I'm sharing some photos of biannual outreach event held at UH Manoa, School of Ocean Earth Science and Technology called the SOEST Open House. 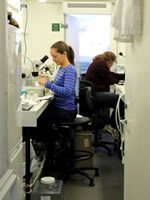 In 2013, Katherine Hanson and I joined forces to create an collaborative exhibit between the zooplankton labs of Dr. Erica Goetze and Dr. Petra Lenz. Since then I have led the exhibit in 2013, 2015 and 2017, and it is always popular amongst the students. For purposes of privacy I have not included photos of the room FILLED with curious and excited kids from all across Hawaii - trust me that it is always a success! SOEST Open House 2017 - gets better and better every year! A fun addition to our exhibit this year. Holy chum bucket!